I’m really proud to be part of a small collective of jewellers called The Jewellery Makers. We are a selection of handpicked individual designers and makers all based in the UK. We are passionate about handmade jewellery. 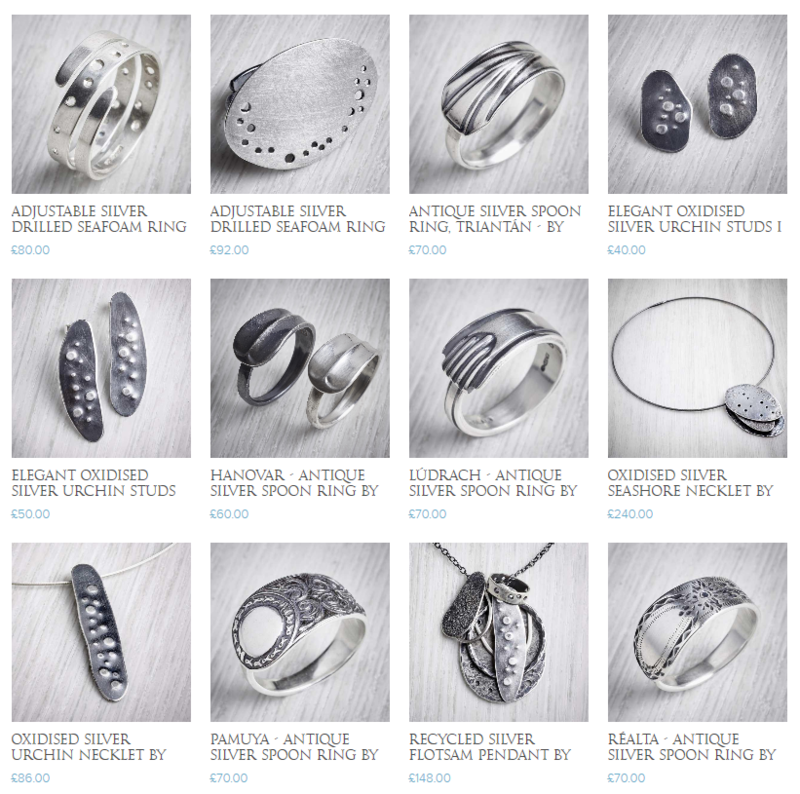 On the website you can find truly distinctive contemporary jewellery with a great range of styles to suit every taste. From tiny handcrafted earrings to great statement pieces, you’re sure to find something special, something different, something unique and more importantly something to suit you. Each of us has a very different style and a very different skill base but we all are passionate about making beautiful, wearable, quality pieces that you will treasure forever. The website was set up by Emma White in 2017. She’s a Scottish lass based in Yorkshire. I’m the opposite in that I am a Yorkshire lass based in Scotland. That always makes me chuckle when I think about it. I’m originally from Leeds and Emma is based in Farsley on the outskirts of the city and it makes very me happy to have such a great connection to my home town. Emma has been in the business of making, selling and marketing her own jewellery for so many years that I feel my work and my brand are in such good hands. She’s such a ‘do-er’ and so on the ball with regards getting the jewellery out there into the public domain. I’m so excited to be working with her. Not only is she a fantastic jeweller herself (who’s just come off maternity leave and raring to go), she’s also a mother of three and runs jewellery classes from her studio at Sunnybank Mills. On top of all of that she finds the time to make her own work and run The Jewellery Makers. If there’s anyone who should be given the title “super woman”, I do believe Emma is right up there! I think that’s why we get on. We can both multi-task like mad women and get things done when they need doing. You may recognise the name already as I’ve blogged about Emma before. I recently took on a commission, via The Jewellery Makers, to create a Devils Toenail Brooch for a treasure hunt. I loved every minute of that job (you can read about that here). It pushed me beyond my comfort zone and it was so refreshing to do something completely different from the day to day jewellery I normally make. That’s the beauty of selling via an alternative website to my own and working with and alongside other jewellers. I get the opportunity to take on some really interesting projects and my work reaches such a wider market. The selection of my jewellery on The Jewellery Makers website has just been updated with fabulous new photography and Emma now stocks nearly all of my Echoes Collection, alongside a few designs from my Antique Silverware Collection too. My spoon rings are proving so popular that I’m going to be supplying her with some more designs soon. Here’s a screengrab showing a selection of some of the work up on the site at the moment. Isn’t the photography stunning!! We are running an introductory offer on my work right now and you can currently get 20% off any of my jewellery listed on The Jewellery Makers website. So go have a gander and use spoons20 at the checkout to claim your discount. This entry was posted in Competitions / Discounts / Offers and tagged Antique Silverware Rings, Commissions, Dicount Code, Echoes Collection, Friends, Limited Edition Jewellery, New Stockists, Spoon Jewellery, The Jewellery Makers. This is my new Milomade Journal and it starts in 2018. 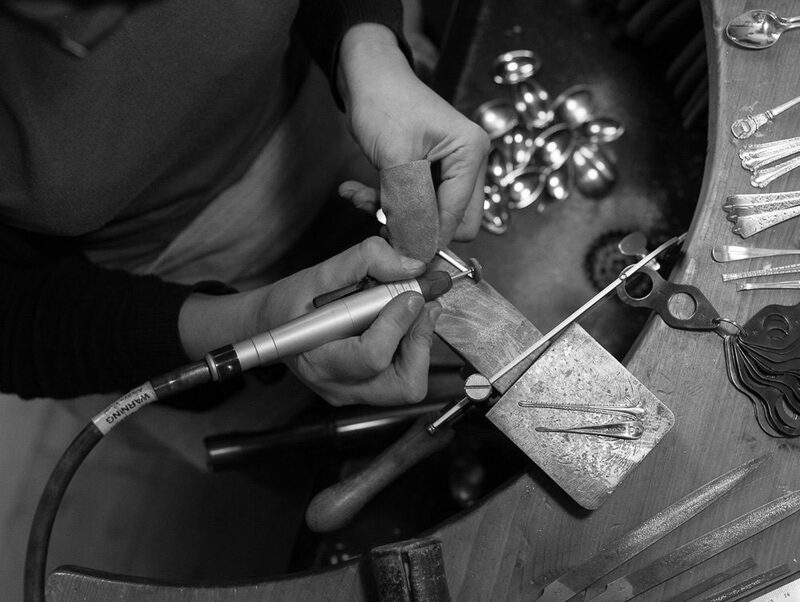 Here I will be sharing my many hours at the jewellery bench – in words and pictures. Work in progress, musings on my inspiration and motivation and much much more.